Yes. I think I made up my mind. This ornery, toe-biting, apple and tomato eating, tough acting little pup has a name. Sweetgrass. Kris, when you suggested that, I *knew* I had to have it in her registered name, at least! Daniel mentioned once I could call her Sweet… though, she hasn’t progressed from ornery to sweet YET! If she gets any temperament from Elsa, she will, but it’s hard to call her sweet when she biting your toes! Plus, it’s SWEETGRASS. One of my favorite scents of all time. It’s sacred to Indians. A smudge of sweetgrass refreshes and blesses… I have it stuck in drawers and closets and pull it out and smudge my house every once in a while! I hope she becomes a blessing to our place, she definitely is a refreshing change of pace! Eden. Somewhere I read a legend that the Garden of Eden had red dirt. I imagine it stemmed from the origin of “Adam”, which usually is loosely translated as “made from the red clay”, or “man of the red earth”. Something along those lines. I thought Adam was created somewhere else, but I’m no biblical scholar, and, hey, even if Eden (or Aidan) wasn’t made of Red Dirt… and the simple name means “delight”… I’ll take that too! She is a delight! 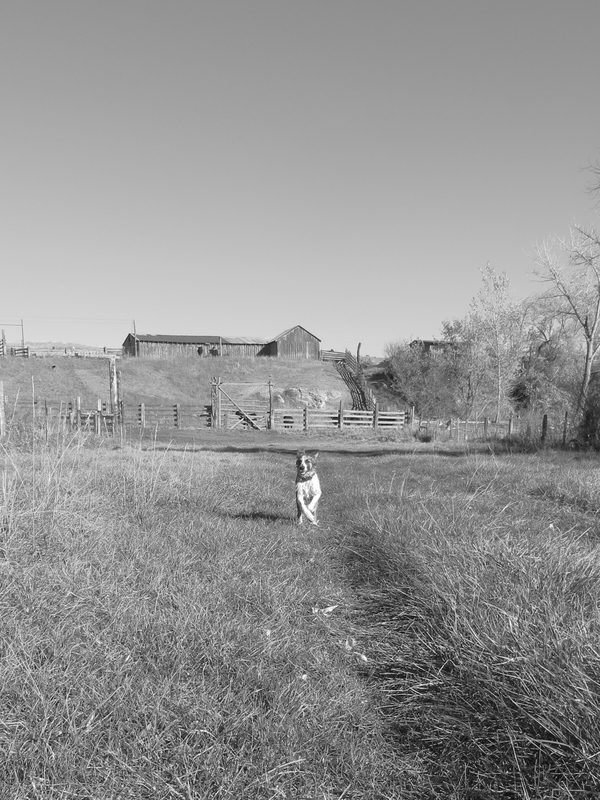 It may turn out to be a new start for Rimrock English Shepherds… and where better to start than Eden? Please don’t call her Edie. Wonderful name! I just spent the last hour or more catching up since I’ve had very little wifi/cell for the last two months! Wonderful! Good to hear your pictures are coming back, I’d be devastated if I lost any of mine! And I’m sorry I never got to connect when I was working near you. I’ve since been to Montana, South Dakota, Idaho, Utah, and now in Oregon before heading home to Southern California at the end of next week. I am so glad I at least got to visit your area, it makes this blog so much more real to me. Keep posting, there’s lots of us that love to live the ranch life vicariously. And I think that when I get home I am going to need it. Culture shock awaits, not sure it is going to be home anymore. This is the perfect name. I love that picture! At last! Eden has a truly wonderful name – and thank you for sharing all that went into selecting it! Great job, Carol. I hope Eden will be as special as Elsa was. Very special and meaningful name… Great job… know it had to be perfect…. Great name for her. Love the explanation of the meaning for her registered name. Rimrock Sweetgrass Edensfire – ts, now I have name envy!! Beautiful! Love the name and love that photo! Finally! And it was worth the wait! Perfect name for a perfect little pup! A wonderful name. Loved reading all the meanings of Eden’s names.